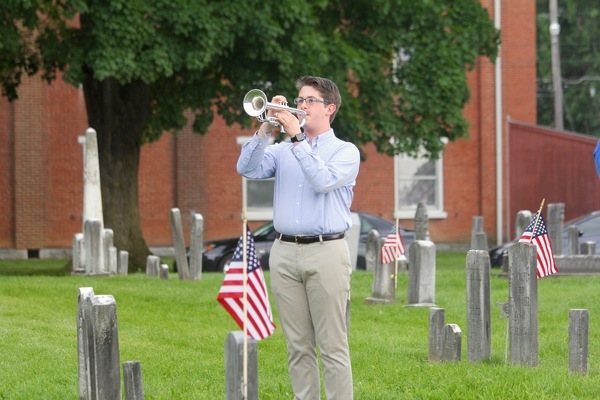 Memorial Day in Boalsburg is cause for a weekend-long celebration, and that, 11-year-old Peter Corby said, is a tribute to all those who made the ultimate sacrifice in service to the nation. 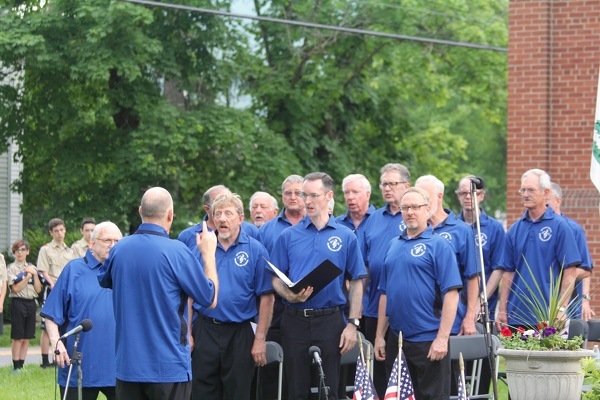 "We celebrate Memorial Day to honor those who have fallen fighting for our country and to enjoy the freedoms they died trying to protect," Corby said. 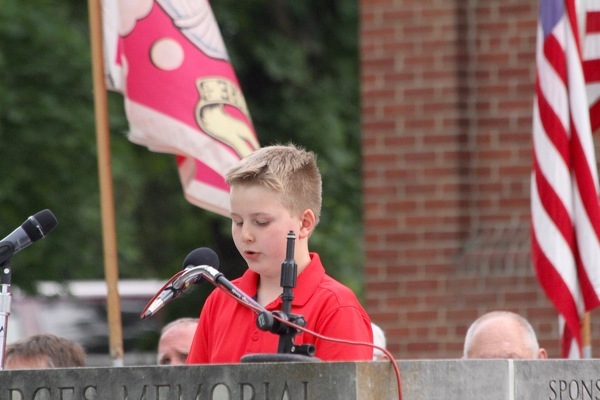 The Mount Nittany Elementary School student was the winner of the annual Boalsburg Memorial Day essay contest and read his piece as a part of the service that concluded the weekend's events on Monday night at Boalsburg Cemetery. 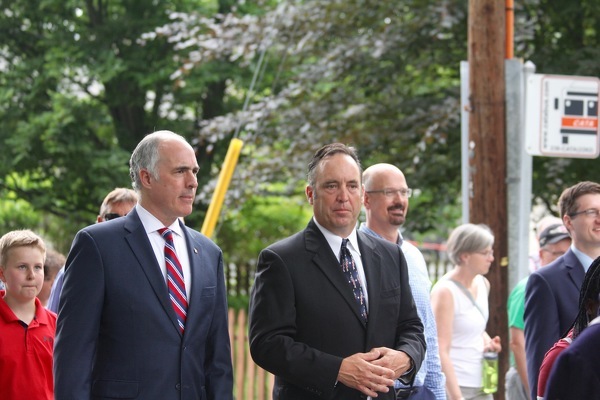 U.S. Sen. Bob Casey was the featured speaker at the service and he noted that since the country's founding, more than 1.1 million Americans have been killed in action. 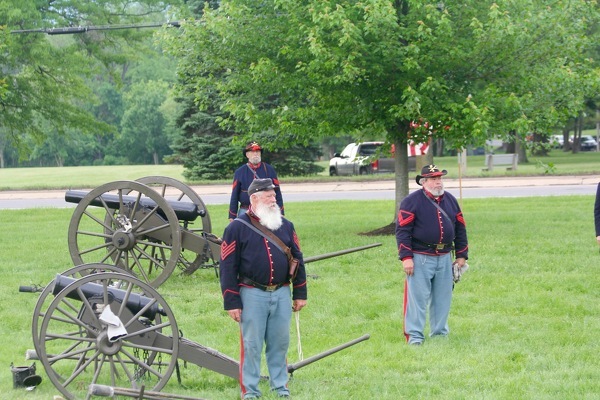 "They gave, as Lincoln said, 'the last full measure of devotion to their country,'" Casey said. "We try to ensure on a day like today that no fallen soldier is lost and that no soldier is forgotten. 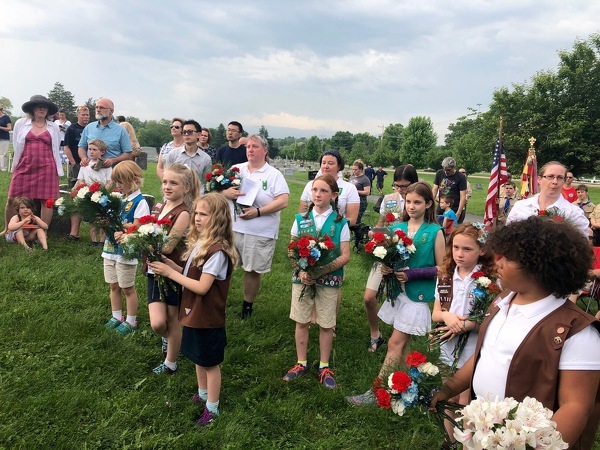 The awful reality of war and death, and the pain of loss that shatters a family forever is reason enough to gather, to pray, to pay tribute and to express gratitude as one nation and one people." 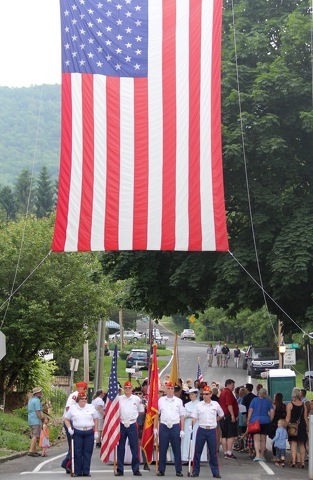 But honoring that sacrifice is something that should be carried out in our work as citizens, Casey said. "What Lincoln was asking all of us to do is to build a nation worthy of the awesome and sacred sacrifice of those brave Americans killed uniform," Casey said. 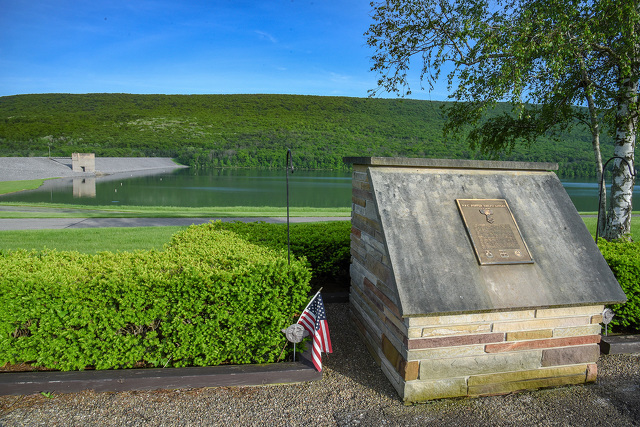 "The stories we share on Memorial Day are a deep reservoir of inspiration and common purpose, to keep alive that dream of a patriot." 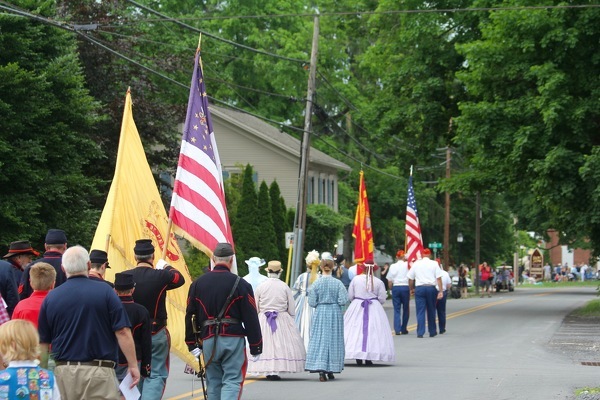 Boalsburg, of course, lays claim to being the birthplace of Memorial Day, going back to 1864, when Emma Hunter, Sophie Keller and Elizabeth Meyer decorated the graves of fallen soldiers in the village's cemetery, where veterans dating back to the War of 1812 are buried. 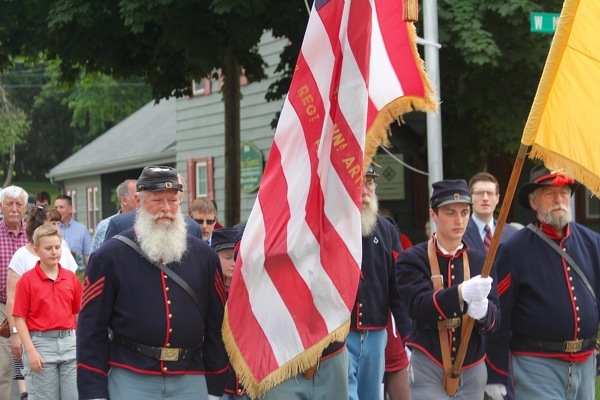 State Senate Majority Leader Jake Corman said that for many people, Memorial Day can be a lot like Christmas -- with all the surrounding events, the meaning of the day can be lost. 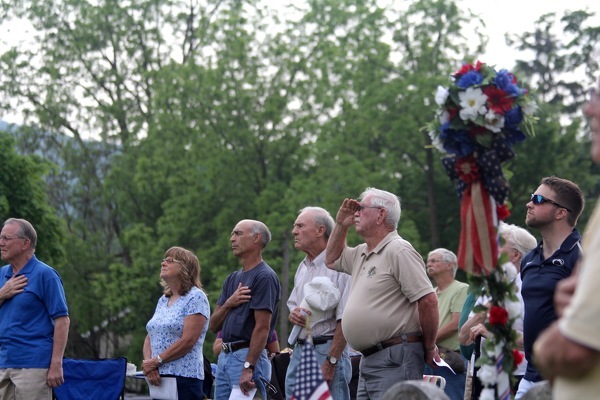 But Boalsburg's deep connection to Memorial Day serves as a daily reminder for people in Centre County. "That’s why I’m so glad I grew up here," Corman said. "Growing up in Centre County and growing up so close to Boalsburg, we get a reminder of this everyday. This is a daily thing for us to understand the importance of Memorial Day. "Through all the hustle and bustle, through all the excitement of the weekend, it is important we have a moment like this to remember exactly what this holiday is all about, and that is to give thanks and pay tribute for all those who gave us this day by protecting our freedoms." 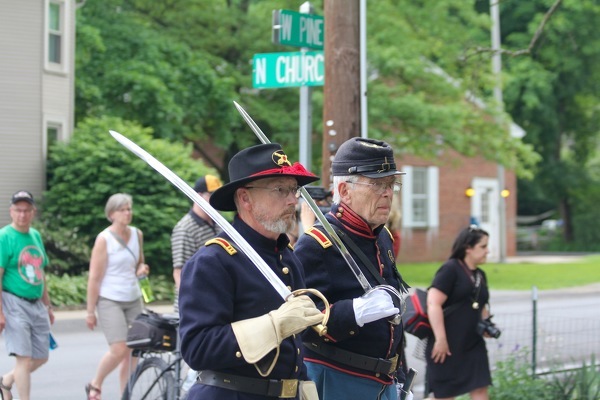 The service also was an opportunity to honor two living veterans. 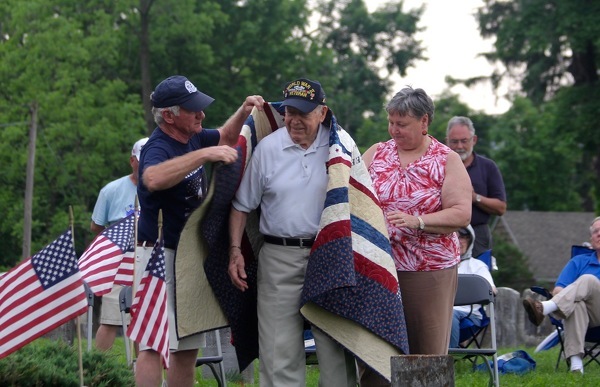 Happy Valley Quilts of Valor has, since 2015, served as a local chapter of the national effort to "cover service members and veterans touched by war with comforting and healing quilts of valor," co-organizer Carolyn Foust said. The group has presented 154 quilts -- among the more than 187,000 awarded nationwide since the organization's founding in 2003. On Monday, the newest quilts were presented to Joseph Januszkiewicz and Joseph Smith. Januszkiewicz served in the U.S. Army from October 1942 to December 1945 in the European Theater of Operations with the 95th infantry division. 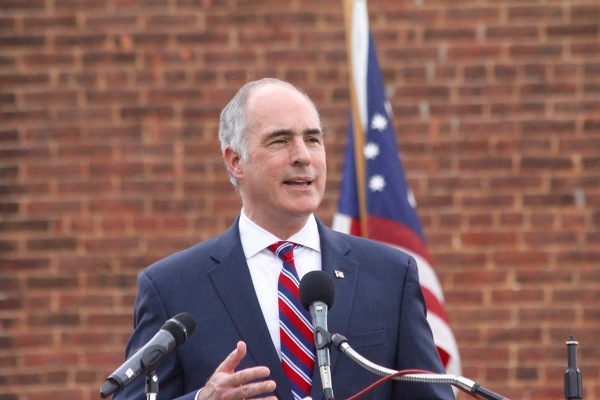 After returning home he earned a degree in engineering from Penn State before getting his law degree and going on to a long career as an attorney. Smith served in the U.S. Air Force from 1951 to 1954, the re-enlisted in 1955. He retired from active duty in 1970 after serving in locations around the world. 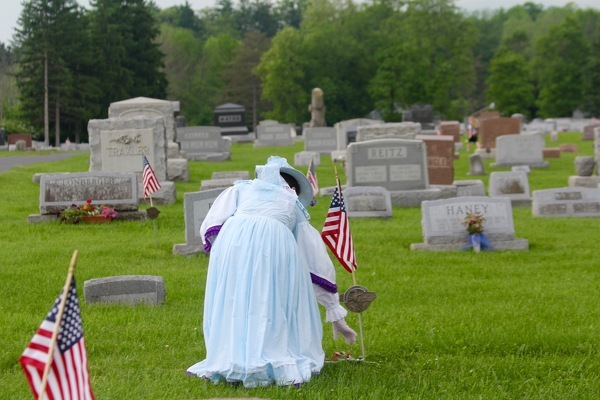 For the past 35 years, Smith has been caretaker of the Boalsburg Cemetery. "We honor you for your service. we honor you for leaving all you hold dear to stand in harm’s way in a time of crisis protecting us from the effects of war," Foust said. "We know that freedom is not free. 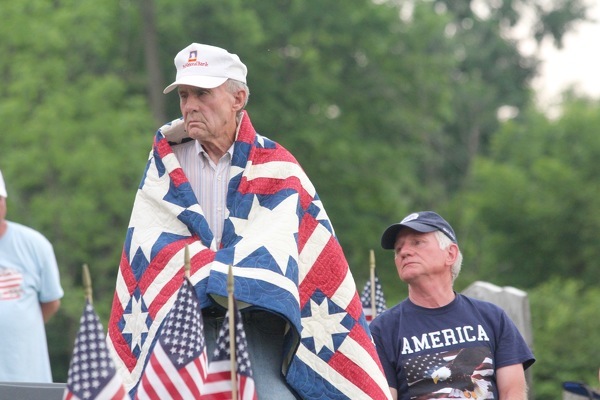 The cost of our freedom was the dedication of the lives of men and women like you. This quilt is made to comfort you and remind you that you are forever in our thoughts and prayers." HOWARD — It’s not without a touch of irony that there’s an undercurrent of bitterness beneath the surface of the Foster J. Sayers Dam at the Bald Eagle State Park.